AI And ML: Greatest Hype Or Hope? Bill Barr Has Promised Transparency. He Deserves the Chance to Deliver. Data Privacy Manifestos: Competitive Advantage or the Start of Something Bigger? Tech Alone Is Not Enough To Fight Financial Crime. Here’s Why. So How Big a Deal Are Those Manafort Disclosures? Confidence in Government on National Security Matters: What Have we Learned So Far? Is International internet Regulation Just Ahead? A Meta – FOIA Request: How did the Postal Service Release a Congressional Candidates SF-86? Anatomy of a Presidential Untruth: What Data Did the Justice Department Really Provide the White House? Nationalize the 5G Network? No Thanks. How Can the President Obstruct Justice? Does the FBI Need a Warrant to Search its Own Database? Sessions wants a leak investigation rule-change. That could cripple the free press. NSI Advisory Board member Benjamin Wittes, et al. Russia is still waging cyberwar against Western democracy. It’s time to push back. Seven Theories of the Case: What Do We Really Know about L’Affaire Russe and What Could it All Mean? Michael Hayden: Trump acted decisively against Syria. Now what? What Happens When We Don’t Believe the President’s Oath? Get the latest updates from the National Security Institute. 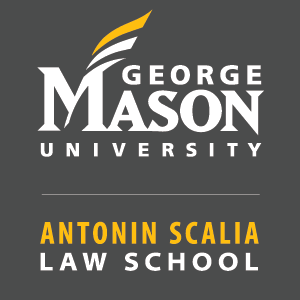 The National Security Institute (NSI) at the Antonin Scalia Law School at George Mason University is dedicated to finding practical answers to national security law and policy questions.